My Guru Seetarama Sarma is from the dance world, so I had sung for many dance performances when I was young. But soon the hierarchy came and I looked upon at dance as a lower art form. who has belled many a cat in the south-Indian spectrum of art. But, as he speaks on Culture, Society and State, his chosen topic during Manthan Samvaad 2015, in Hyderabad, one would wonder just why anybody would want to explain him away, much less ignore him. Addressing the thought processes prevalent in the times that mediate and dictate the path that art takes in those times, Krishna raised pertinent questions that both artists and rasikas ponder over alike. Is the artist, the ethical artist to be specific to his careful choice of vocabulary, answerable to the society? Must the law of the land allow for absolute artistic freedom? for whom some pennies may have dropped owing to this talk – a talk which in itself was filled to the brim with irreverence bordering on the delightful. Sahityam and sangeetam cannot be separated, especially in art music where musical pronunciation takes precedence over linguistic pronunciation. I call it syllabo-melodic identity. The compositions have been created by geniuses who employed language and meaning as tools of art. But they also went beyond their own constructs. So if we get stuck with artha bhava, we are limiting ourselves musically, aesthetically, religiously, politically, socially. On his experience of working with dance…. especially linguistic abstraction, changed. Music and dance transcend linguistic abstraction in very different ways. I must reinterpret the music in such a way that the music can actually be parallel to the dance. Being part of dance changed many things for me as a musician. I had multiple answers coming to me at multiple times. It’s been a fascinating experience. On the idea of silence in sound…. In music, the idea is that the silence is in between two lines of music. This is said because of reception. But, I feel, we need to go deeper than this. To me what is more important is the silence when the music is being played. Silence is more of a mental state, when the reception is complete. We could call it stillness. So, could the music be in a fashion that would allow the musician, who is also as much a receiver as the rasika, that the music itself would be received completely. Something about the way the music itself is produced, internalized and sung, that there is no agitation in the music. The pace of the music does not matter. To me silence in music is the state which the music gives when the melody itself is being played, rather than when there is silence. This is experiential. One could say it just happens, but I would not say there is no subconscious process involved at all. It comes from how you engage with the art. The event may happen at some point, but will not unless and otherwise the engagement with the process until that point is complete by itself. I am not bothered about the event, I must be vulnerable to my art form, be as flawed as I am, allow myself to go into it and live in it. That is when silence accompanies the melody. 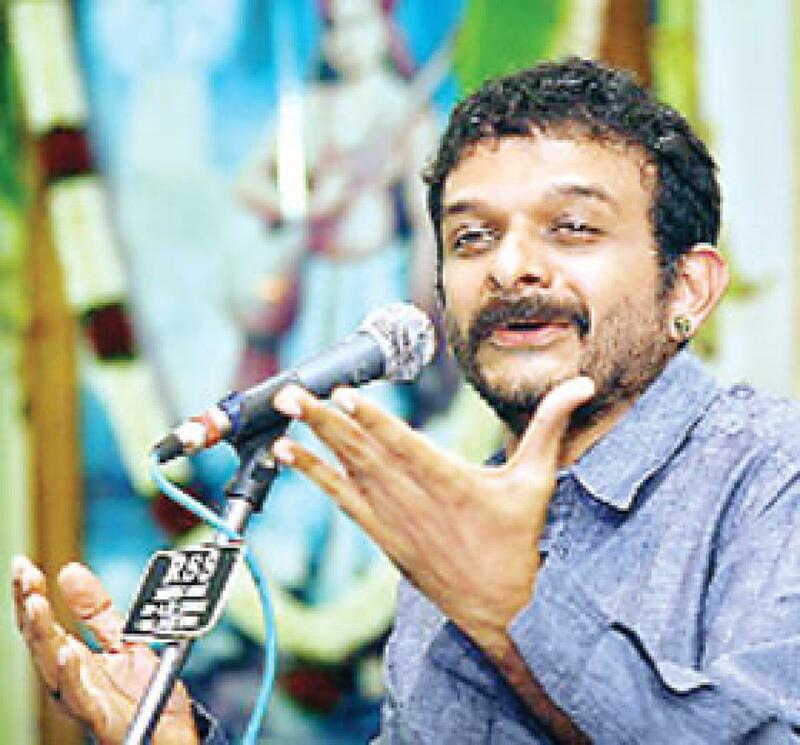 To comprehend how sound and silence come together, and revel in the stillness that ensues, one only needs to experience the art that happens when TM Krishna is engaging with it; and let the sthiratva go deep down to the very core of one’s being.